City legislators voted unanimously on Wednesday to pass a trio of bills cracking down on the sale of synthetic marijuana. NEW YORK CITY — Under new legislation passed Wednesday, any store caught selling K2 could be fined up to $10,000 and possibly be shut down. Authorities have more power to crack down on shops selling synthetic marijuana after the City Council voted unanimously to pass three bills aimed at halting the spread of the drug. The bills, which will go into effect 60 days after being signed into law by Mayor Bill de Blasio, are meant to close loopholes that have made a 2012 statewide ban of K2 difficult to enforce, increase individual penalties for sale of the drug and strengthen the city’s ability to shut down stores that are discovered to be selling it. The bills were sponsored separately by Councilman Dan Garodnick, Councilman Ruben Wills and Council Speaker Melissa Mark-Viverito. The mayor is expected to sign the bills. "Unfortunately, the effects of K2 can be life-threatening," Mark-Viverito said Wednesday during a City Hall press conference. Mark-Viverito represents East Harlem, where officials say use of the drug is rampant in the area near 125th Street and Lexington Avenue. Wills’ bill outlaws the sale of any product marketed as synthetic marijuana, as opposed to banning a specific chemical formula as it has been done in the past. It also creates stiff new fines to enforce it. The penalty for a first-time offender goes up to $5,000, and overall penalties top off at $50,000 for a single business, according to officials. Mark-Viverito’s bill allows the city to yank a store’s cigarette license if it is found to be selling K2. 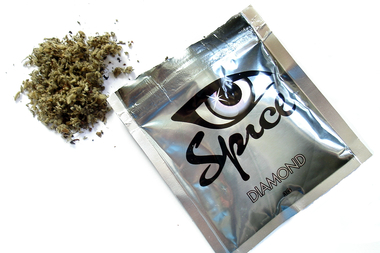 Garodnick’s legislation gives the city authority to shut down any shop caught selling the drug, which is also known Spice. The shutdowns can happen three times during a one-year period, according to the new rule. The council speaker has been open about her belief that marijuana should be decriminalized. People trying to avoid using marijuana often turn to the synthetic version, which is "dangerous and unpredictable," said the speaker, because of the constantly changing chemical composition. "These bills are about taking swift action to get these drugs off our streets, not criminalizing the user," said Mark-Viverito. Despite recent high-profile busts of K2 distribution rings, attacking the drug at its point-of-sale has proved a difficult task. Authorities have previously been able to punish individual employees with a fine of up to $500 and up to 15 days in jail, but they have been unable to punish business entities as a whole. The bill sponsored by Wills would address that loophole and make sale of the drug by an individual punishable by a criminal fine of up to $5,000 and up to a year in prison, or both, and make a shop liable for civil fines of between $1,000 and $10,000 per violation for selling any product marketed as synthetic marijuana. "The city will have the right tools to put a stop to this dangerous drug," Garodnick said. Wills said the laws are just a start and that an educational campaign is needed to inform the public, especially young people, about the dangers of synthetic marijuana. Councilwoman Vanessa Gibson, chairwoman of the Committee on Public Safety, said that it was troubling that the colorful packaging of the drug looked like candy, had cartoon characters on the cover and came with names such as "Scooby Snax." "It's not enough to ban the drug," Wills said.